This is my first build. Glad we got that out of the way. This is something that I have been desiring to do for years, and the means finally became present, so I jumped on it. My goal I had in mind for this build was simple. Make a working computer, don't break things, and be cheap. I achieved all three. I wanted to see this thing do some simple web tasks for the wife, and take on my gaming needs (World of Warships, TOR, War Thunder) So far, it does excellent with both. NOTE: in the future I fully intend to add a graphics card into this. For now, budget won out. I'm thinking either a GTX 950, or whatever the Pascal equivalent will be. Everything went pretty smoothly I dare say. When the opportunity to build arose, I literally spent months watching videos, researching, browsing part picker here, and various other medias just absorbing info on what is "good", and what in the world to do. The building process was pretty easy and straight forward, and when my fears started to calm a little bit of frying everything with static, it moved right along. It was, for the most part, hassle free. The biggest issue I ran into was dropping a mount screw into the abyss of my case and having to remove my PSU (with board and everything already installed) just to retrieve the screw. People with a MicroATX Rosewill case probably know that the struggle is real. My hard drive was a fun story. The screws I got with my case weren't the right size, and there weren't any screws that came with the drive. I ended up using the right size thread, but the screw was too long. So my drive is hanging by two screws and can slide wherever it pleases, for the most part. Booting Windows and everything was pretty seamless. I had an old copy of Windows 7 laying around that I had dual booted onto my MacBook, and figured it was time to let the Mac be a Mac. From there I upgraded to Windows 10. I only needed one driver update to get all the graphic settings, otherwise that was about it. The only issue I did run into was when mobo stuff was updating and installing, all USB peripherals decided that working was overrated. After a restart, all was well. Initially, I'm sure I'll get an ear full about cable management on some of the first pics, I had the 120mm fan connected straight to a power line and that thing was running full speed all the time. This is because mobo only has one fan header apart from the cpu fan. A week or so ago, I went in and cleaned up the wires and put the 120mm into the mobo header, and plugged the stock Rosewill 80mm into the power line. Best. Decision. Ever. In regards to this computer. It went from sounding like a soul sucking power machine, to a mild-mannered servant. All in all, I thoroughly enjoyed this process. It was like a big ole' puzzle. An electrical, circuity puzzle. This makes me want to build more and more computers. This feels like a potential problem brewing. I enjoy that my Windows games are now MUCH more readily and easily accessible, rather than having to boot back and fourth. One of these days I'm going to reinstall my old Command and Conquer games, get some Red Alert action going, Pharaoh, and Roller Coaster Tycoon. I apologize that I don't have benchmarks, stress tests, etc. to share with you all. Being my first build, as I mentioned, there were somethings I was quite unsure of. I would like to check all that info, any pointers/info would be greatly appreciated. Please feel free to comment and provide constructive criticism. I want to improve this guy as much as possible. Well, reasonably speaking. I deleted my own comment and folded it into the description. Awesome little CPU. Does everything I expect of it without an issue. Tasks range from Facebook and simple documents, to gaming and opening millions of tabs (not literally millions). This has handled everything I have thrown at it thus far and I don't foresee that changing anytime soon. 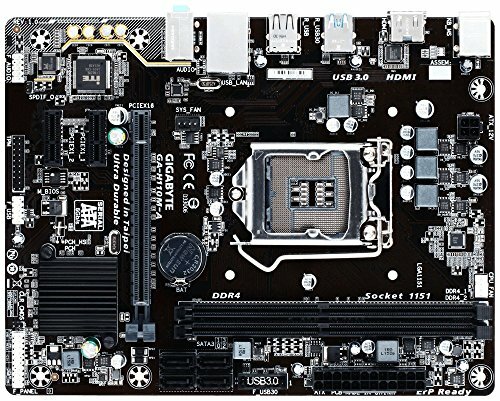 Very simple to use mobo. Does and has everything that I expect of it. I only have two complaints. 1) The instructions of where all the front panel connectors went to were non existent. I had to dig on the internet to figure out where they all went. 2) Only one fan header (not including CPU fan header). If you want 2 or more fans, either get a splitter, or be ready to connect everything straight to your PSU. All in all, I am pleased and it was very user friendly on physical installation, and booting windows. 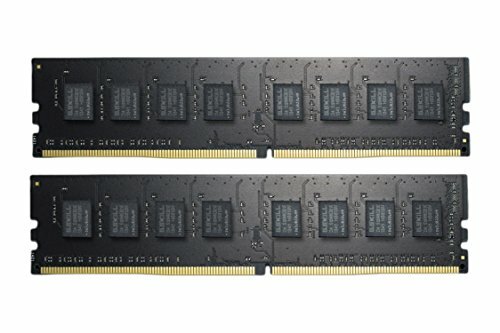 RAM is RAM right? Reliable name and all that good stuff. This actually isn't the drive that I got, but the closest I could get on Part Picker here. I got the newest one of the same model, pretty much. Anyways, a hard drive is a hard drive right? Nice slim, little drive that I wanted. It was exactly what I needed and was looking for. My only complaint was the complete lack of screws and anything useful. Probably because it was OEM. No where was it specified that it was OEM on purchase, but oh well. Not sure what the deal is, but the boot time is INSANE! I haven't actually timed it, but it can't be more than 20 seconds. Nice little case. Only faults are the lack of proper screws for my hard drive, and the lack of space for cables to run with a disc drive installed. Other than that, loving this case. Nice, simple, and very aesthetically pleasing. Temps while gaming are holding around 50-55, not too shabby. All in all, I am very pleased with this purchase. I like seeing this everyday when I come home. The case that is. Gotta love rebates and promo codes. 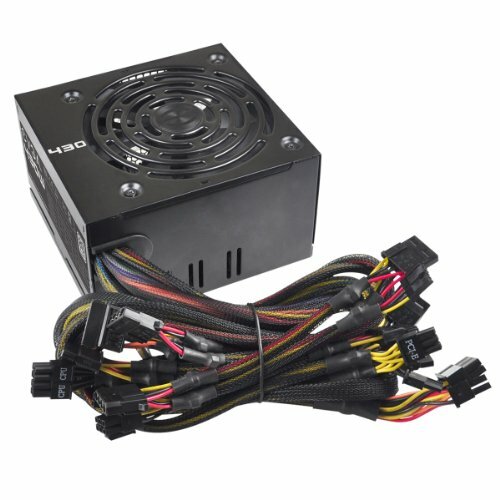 A very awesome PSU for rock bottom price. Most other review I've seen have sung this PSU's praises. I guess I'll join in the chorus. This thing is definitely a brick, meaning heavy, telling me that there's lots of goodies internally and the manufacturer didn't skimp on it. Also, EVGA is a trusted brand I'm told, so wonderful purchase. Again, gotta love promo codes. A disc drive is a disc drive right? How many times will I say that? It does what it needs to do and I'm happy with it. Only complaint is the thing sounds like its going to lift off and fly away when it's turning a disc. Good thing I don't use it that often. My biggest complaint rests with this piece here. Thank you Cooler Master for including screws with your product, but it would be wonderful if your product was threaded for the screws you included. Oh man, this was probably one of the most frustrating parts until one of my students gave me the brilliant idea to hold the fan still on one side, and just screw in from the other. All that to say, you more or less, have one shot at installing this thing. It runs silent at least, when it's not blowing full RPM. When it's running full, sounds like a leaf blower. 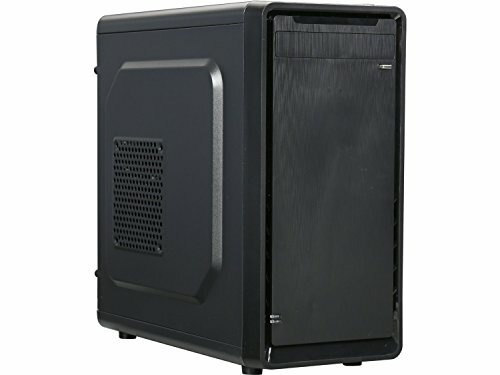 This is a great budget build, with room for future upgrades. And thanks for a fun read with your description, I enjoyed it. Plus one! Also, how do I change the part costs? I have different numbers to share. Part reviews are yet to come as well. Go to your "Saved Part Lists". Select your list that you used for your Completed Build and click "Edit Part List". When you have your list in Edit, there should be a cog image that is in between the "Where"/online store and the "Buy" button. When you see the "Configure Part Price", select the radio button called "Manually Enter Price." Once you have done this, enter in your price amount. Next check the "Mark As Purchased" and click "Save Part Price Setting". This should set your price amount for each part in your Part List. Once you finish setting ever price to each part you desired, do not forget to save your Part List! : "Save As". Awesome!!!! Thanks a ton for that info!! I updated it all, but I haven't seen it take effect yet on the build page here. Does that take time or do I need to go in and reset something? Awesome. You rock! +1 for being so helpful and awesome! Thanks a ton. I'm really enjoying this community. At the end of my description, I talked about benchmarks and things of that sort. Do you have any recommendations on how to go about that? Thank you, you are too kind. I try my best to help in anyway that I know of. We are glad that you are part of our community so welcome! - PCMark 8: Use the PCMark 8 Basic Edition. 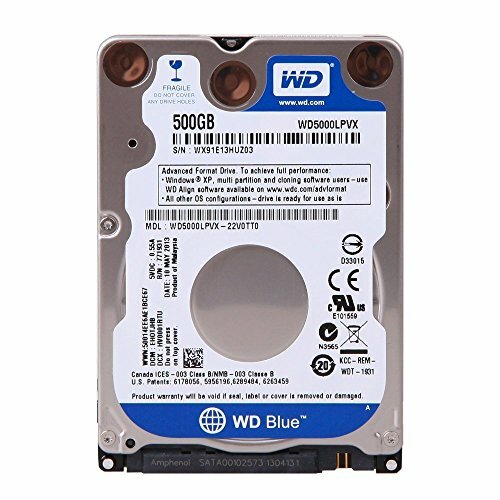 Ideal for integrated graphics and common uses with a computer. This also will have DirectX9 testing. - 3DMark: This 3D test will run DirectX10 or DirectX11 or you download both if so desire. - Valley Benchmark: This 3D test works in Windows, Mac and Linux. I tend to use this one more for integrated graphics and less demanding GPUs too. - Heaven Benchmark:This 3D test is something I prefer most for dedicated graphics or for curious George moments. This works in Windows, Mac and Linux. - PassMark's Performance Test: A similar testing as PCMark 8 does but this one does a trial version for 30 days then you will need to uninstall it. I'm certain others may know better ones than I do but this is what I tend to use for now. Free versions that is. Purchasing the licenses to test your hardware allows more specific testing's versus their defaults but they can be good enough for a general idea on performance results. Thanks again man! I'll definitely hold onto some of these and check them out. My first (and only) build was a Skylake i3 as well - but recently overclocked. My interesest in building a computer stemmed from rebuilding a Macbook Pro into a game-slaying portable killer. Awesome. My build is darn near the same, but I suggest you invest in an aftermarket CPU cooler. Will be worth it in the long run. Awesome build. I most likely plan to not overclock. I MIGHT MAYBE MAYBE upgrade to an i5 someday, but I doubt it. This is budget and exactly what I need. Yeah. I wasn't sure about temps. 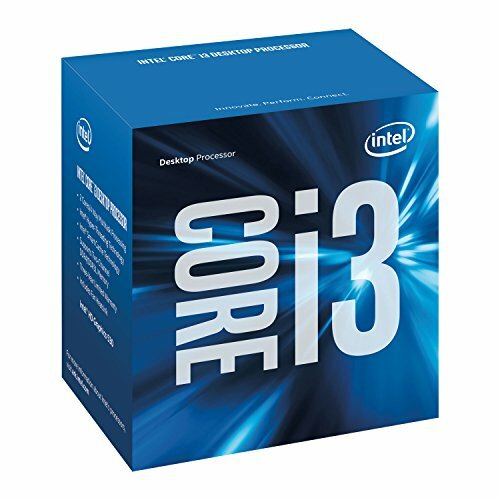 I have a Skylake i3 and it is software overclocked, unfortunately not in the BIOS. Not optimal but it works. That all sounds pretty fun! Especially a MBP being a game slayer. Apart from the 15" you pay 2k, those are few and far between. Not sure if I'll go aftermarket cooler. My temps are good, I think, thus far. Plus, I like to save money where I can. I bought a 2011 15" used for $500. It was all working. Upgraded RAM to 12GB from the original 4. Took the original 500GB 5400RPM Hard Drive and put it in the disc drive bay. Put in a 128GB SSD and the machine is a beast. Here are the specs: Intel HD Graphics 3000 512 MB, AMD Radeon HD 6770M 1GB GDDR5, 1440 x 900 display, 12GB DDR3, 128GB SSD, 500GB 5400RPM Hard Drive, 2.5GHz quad-core Intel Core i7 processor with 8MB shared L3 cache, New Battery, Lightly Software-Modded Beta OS X, Bootcamp Windows 10, Linux Virtual Machine. Aww man! That sounds like a beast! My 2011 13" MBP (That I sold recently to help fund this :'( I replaced Larry [2011 MBP] with Jerome [2010 poly MB] to be dedicated to office functions ) ran most what I needed it to, game wise, but so trashy. Warships, lowest of low settings, barely hung around 30 fps, often dipped to 15. War Thunder was just unplayable. TOR, lowest of low, ran about 40 fps. Well, at least you've got a capable computer now, right? EDIT: I'm typing this from the Mac now. Yeah, now I have two capable computers. Or at least one is capable and the other is capable..ish. I'm happy with my new set up here. I'm thinking either a GTX 950, or whatever the Pascal equivalent will be. Thanks! I've thought about it, but couple rumors tell me that we won't see anything Polaris until fall at the earliest. Guess I won't see a "1050" or whatever they'll call it till then either, but still. That's just rumor. Anyways, I've never been able to figure out the big battle between AMD and Nvidia, what's better, etc. I'm open to listening. I've never been able to figure out the big battle between AMD and Nvidia, what's better, etc. I'm open to listening. Yeah, I'll hang on for a little while. Even if I wanted to drop the cash right now, I don't have it. So it'll be a few months at the least. Thanks for the input! Great balanced budget office build! Thanks! It's been running for 2-3 weeks now, and I am most pleased. Sold build mate, and when you toss a GPU in you will be in a different world from Mac and iGPU based gaming. You will never look back. You also have a good upgrade path on the CPU if and when you need to, this will last a while. I actually really like the look of this case, really clean and no nonsense for the price. What does the power button look like? Normally these cheap cases put stupidly bright power button LEDs. With your case not having a window I don't see cable management being an issue as it is mostly ascetics, you could shove a pillow in there and not really effect temps. "I'm sure I'll get an ear full about cable management on some of the first pics"
I believe it, about Mac and igpu. A friend of mine, we talked on the phone and ordered all our stuff at the same time, and built over the same weekend. Budget wasn't as much a concern for him so he went and ordered a 950 right away. Oh world of difference. I like the case as well. Of the options I showed my wife, it was one of her favorites too. I'm a man of simplicity, so this case just jumped at me. Black, matte,neither a brushed looking front. Love it. The power button is nice and simple as well. Maybe a 1/4 inch circle with a power icon. I could snap a picture tomorrow. And the rest of the front I/o ports, just to shed some light. Cable management should still be a concern to help temps, correct? When it is time for a GPU I would try to find either a GTX960 or R7-370 as both can be found at the prices of the lower models. I got a 370 for $80 open box a few weeks ago, that is about 50% off. Not really, cable management actually does not really do anything for temps. Linuxtechtips did a good video testing all of that a few months back. I would link it but I am at work without youtube access. They had to actually cover the fan for the CPU to see any kind of temp spike. GTX 960 scares me a little bit because of price. I know it's only about $50 more than the 950 on average, but I'm trying to be as budget conscience as possible. Plus, the performance of the 950 smokes all the games I want to run. Major titles like BF4, Halo (xbox, i know) I just stick to console gaming. I forget, 370 is AMD's equivalent to the 950 or 60? Where do you find such stupendously amazing open box deals? And is it worth it in the long run? I've been told that generally speaking, open box components were faulty that people returned. I agree 100%, the 370 and 960 are in a really bad price per performance spot. They are not enough better then the 360 and 950 to merit the extra price. I would never pay the retail price for either card. R7-360 = GTX950 and the R7-370 = GTX960. The GTX cards are slightly more powerful then the R7 cards, but it is so close it does not really matter. Yeah, I'm really hoping the prices will tumble down a little bit when Pascal and Polaris come out. Then I'll make a move. Or I might even buy one of the new ones, assuming that my CPU won't bottleneck them. Man, that was quite the story to that build. Crazy. Absolutely awesome deal you got there! My hats off to a deal hunter. And congratulations on the baby!! +1 as I have the same case coming today :) got it for the same price, can't beat it. nice build as well! I have heard of people gluing/double sided taping the drive cover you removed onto the tray of the drive. did you try this? I'm wondering how it works. It is definitely a nice little case. Simple and visually pleasing. And I like the included 80mm fan. Kinda wish they would've included a front 120mm fan like they do in the fbm's, but oh well. Gotta be honest, did not think of that. I just threw it away :) Doesn't hurt to try when you get it. It's a little slab of plastic that's maybe an 1/8 inch thick. Maybe less. Keep in mind, at least with the drive I got, you're going to have to push that drive far up into the bay so the front button connects with the drive button. It's going to seem uncomfortable, but it's the only way I could find to make connection. A couple screws did the job to hold it. And the back of the drive is going to leave little space for the PSU lines. Maybe 2-4"
You know what, don't listen to my mental measurements, just look at the picture. Gotcha! Thanks for the tip man, much appreciated. Can't wait to get home and BUILD! I agree about the 120mm fan, but I'm pretty sure I have some extra's so that's going to help. I will post my build here as well and let you know if I can get the drive cover to work. Thanks again! Again, yours is just..... gorgeous. Oh man. That word falls short. Sold work man!!! I don't really like that swinging door. It was definitely interesting to say the least. It's kind of annoying because it leaves a big old cable draping through the middle of the case to get to the hard drive, but not too terribly awful. I feel all in all, it's kind of nice for accessibility and probably cuts down on the size of the case, which I like. Check out Firewalp's build (comment above) He takes care of your swinging door problem. You might like that one. Usually people hide the cables away entirely, it's really not that functional if you ever have to get in there and do stuff.